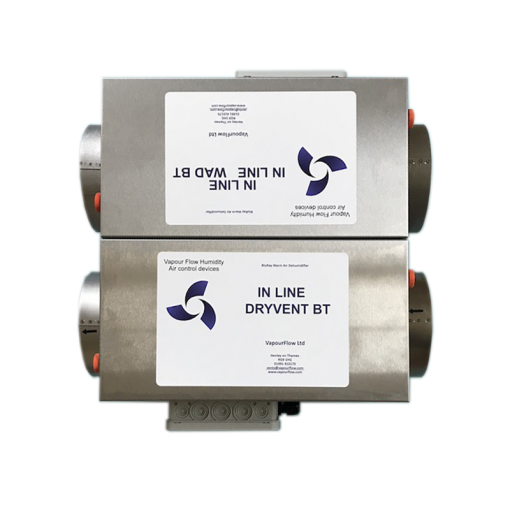 The combination ensures a supply and extract air system that will encourage cross ventilation with one system supporting the other intake & extract. 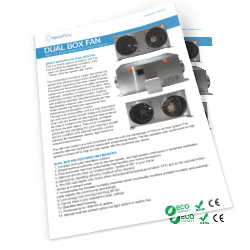 The Dual Box Fan provides for multiple ventilation options from mounted positions in the attic, utility cupboard, underfloor or basement locations. Each providing a unique ventilation system meeting with building regulation requirements and, most significantly, a superb way of minimising air flow noise, introducing fresh pre-warmed air and maximising condensation control. 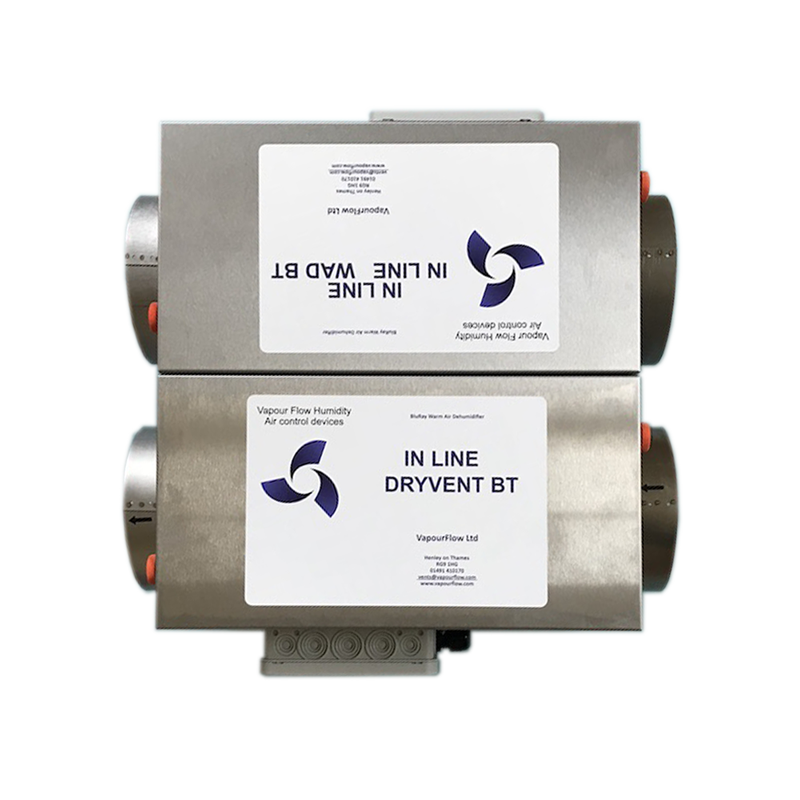 The warm air dehumidifier unit is a fully automated fan with dual actions of both intake and extraction of air with the benefit of warming the fresh external air when it is drawn into the building or filtered air from the attic space. 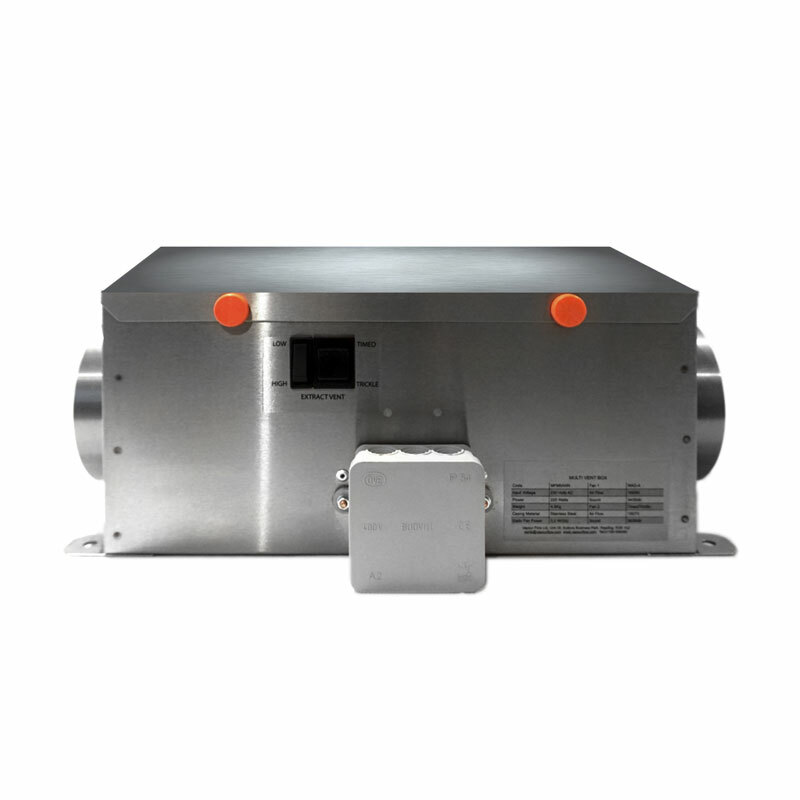 The unit is completely automatic and operating for your maximum benefit and air condition with internal humidity control, external air temperature sensor, light switch or remote timed overrun. 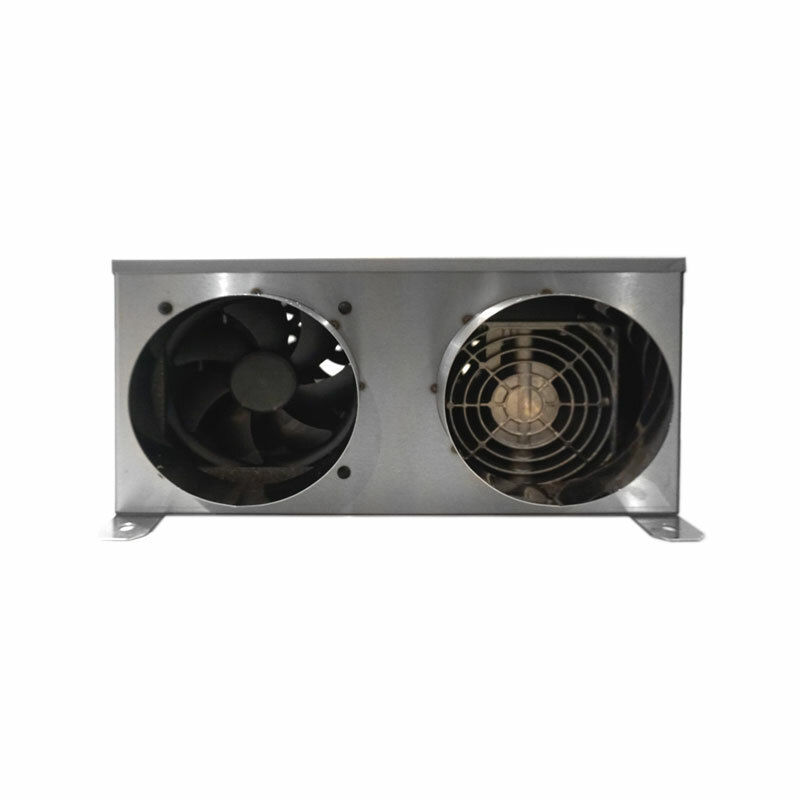 The inline fan system is a twin brushless inline fan with the advantage of 120mm air flow system.The controls offer two switched live inputs with proportional timers. 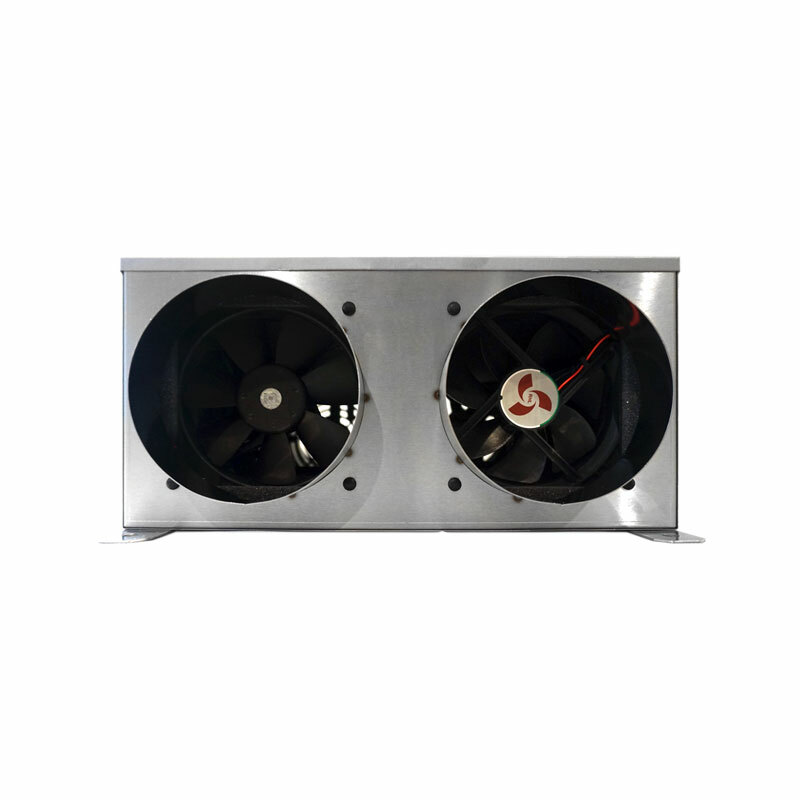 The fan operates with continuous to high speed or simple off to high (or low) speed with the switched live inputs.